Several days ago each third grader was given a dictionary by Nebo Credit Union. Students spent time finding words in their dictionaries, finding information about different states, discovering who the 21st president was, and learning about the sign language alphabet. These dictionaries stay with the students at the school all year and then they are able to take them home. Thank you Nebo Credit Union! Thanks students for doing great deeds around our school! We love our "Extraordiberries". Miss Robison's class has been working on Informational Writing. Part of teaching Informational Writing is teaching How-To writing. Students pretended they were news reporters and got to choose which news cast they were in. Students wrote and memorized their own scripts, and then Miss Robison filmed them. Below is the class News Report ... Enjoy! 6th grade Student Council Conference at BYU ... What a great opportunity! We want to thank our very own Spanish Fork Veterans for the reminder they bring each year of the sacrifices made so that we can be a free nation. Their love of country shines in their eyes as they stand and salute our American flag. We also extend our heartfelt thanks to the families who miss them and worry about them as they are away. We live in a great nation that will only remain great as long as we fight to maintain our freedoms. Thank you, Veterans! Congratulations, students! Thanks for a great week! Our 4th-6th grade students were lucky to receive a visit from Clark Planetarium’s Outreach Program yesterday. They learned a lot and participated in a variety of interesting science experiments. Our sixth graders were excited to learn more about the 6th grade Astronomy science core. 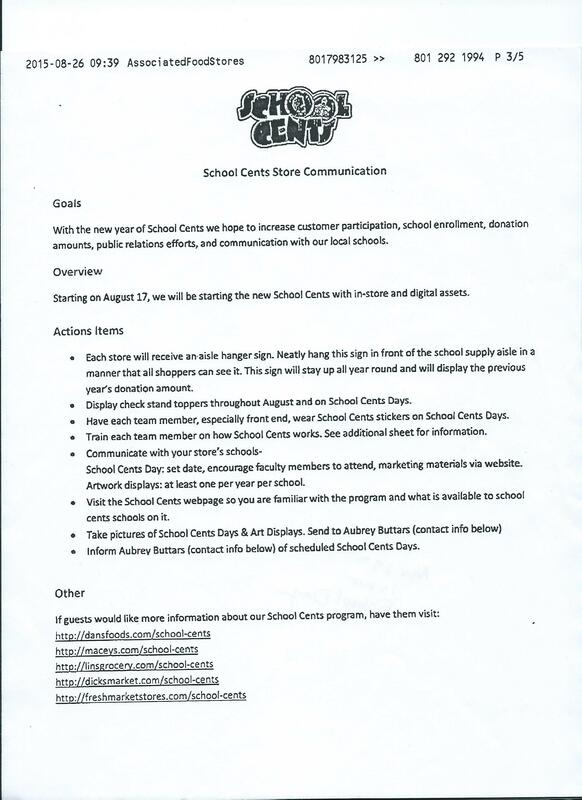 Macey's is excited to serve our community and school again this year with the continuation of their School Cents program. 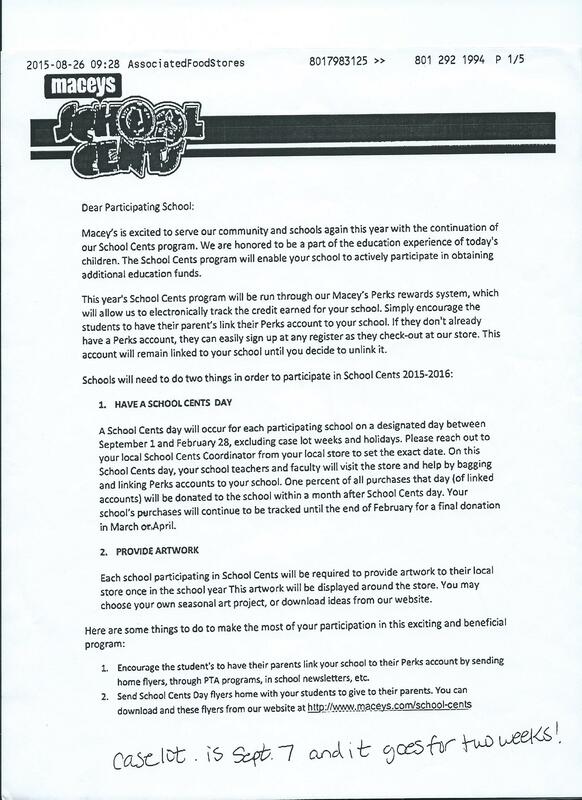 "The School Cents program will enable [our school] to actively participate in obtaining additional education funds ..."
Every time parents shop at Macey's, Spanish Oaks Elementary will receive back a percentage of the total spent! PTA Days will be Thursday, November 19, 2015 at Macey's from 5:00pm-8:00pm!